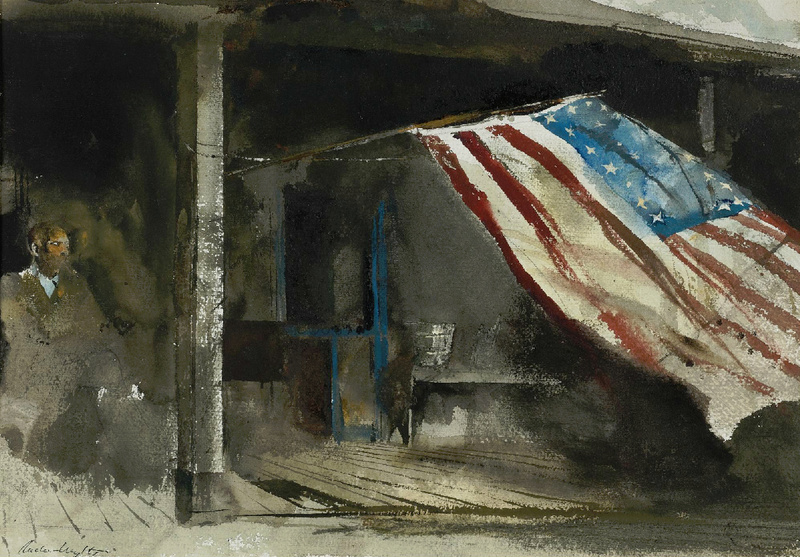 In the painting Independence Day, Andrew Wyeth portrays his longtime friend and neighbor Tom Clark sitting on a porch alongside a billowing American flag. Clark lived in a small African American community in Chadds Ford known as “Little Africa,” which had originated as a Quaker stop on the Underground Railroad. Beginning in 1957, Wyeth produced numerous drawings and watercolors of Clark, whose physical features captivated the artist.